We believe that instructional materials must consider the needs of all students, particularly English learner students (ELs)—a growing demographic who are now 1 out of every 10 students in K-12 classrooms. At the same time college- and career-ready standards require ELs to perform at the same level as their English dominant peers. Facilitating academic success for ELs can feel overwhelming without effective instructional materials and teacher guidance on ways to support these students to thrive emotionally, socially, and academically. 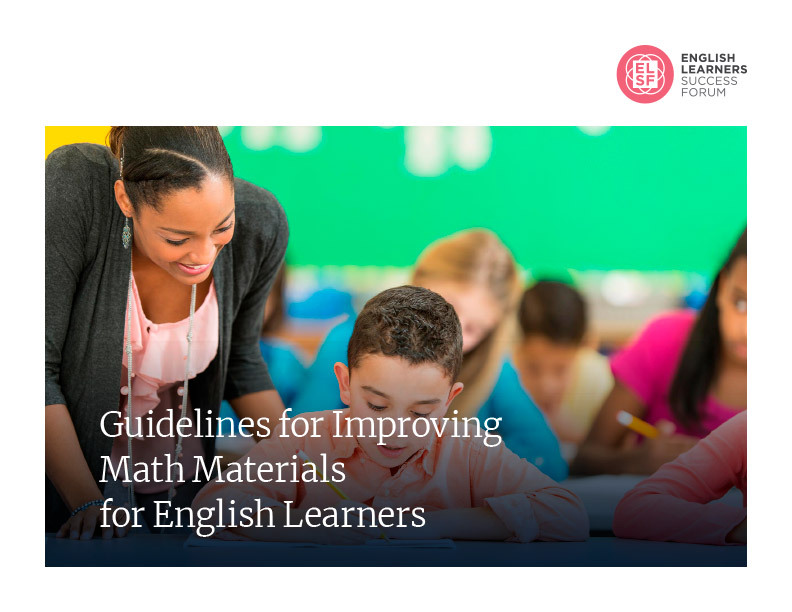 In an effort to make materials more inclusive for ELs, we’ve compiled evidence-based resources and tools that support English language arts (ELA) and mathematics materials developers and educators as they create and adapt instructional materials to be more inclusive of EL students. ELSF wants to support educators in evaluating their instructional materials and teaching practices, designing their lessons and utilizing a variety of instructional strategies to help ELs be successful. Are you sure that your instructional materials and teaching practices are working for your EL students? Consider how EL students may—or may not—be engaging in your classroom or with your materials by first taking a pulse check below. In 2017, we consulted with over 60 EL experts, practitioners, and staff from K-12 organizations who represented a variety of perspectives from K-12 organizations. We engaged with these educators to develop and refine key focus areas for English language development that must be embedded across a curriculum, in units, and in lessons so that ELs can access and engage in grade-level content. Our user focus groups found that the Guidelines will help gauge the quality of EL supports in current curricula and help determine ways for educators to address gaps. If you’re ready to start improving your instructional materials and support, view and download the Guidelines below now! Below are a number of example lessons, tools, and resources that will assist you in implementing the necessary changes to your curriculum and practice to improve outcomes for ELs. These example lessons were made in collaboration with our partners to demonstrate integrated English Learner supports. 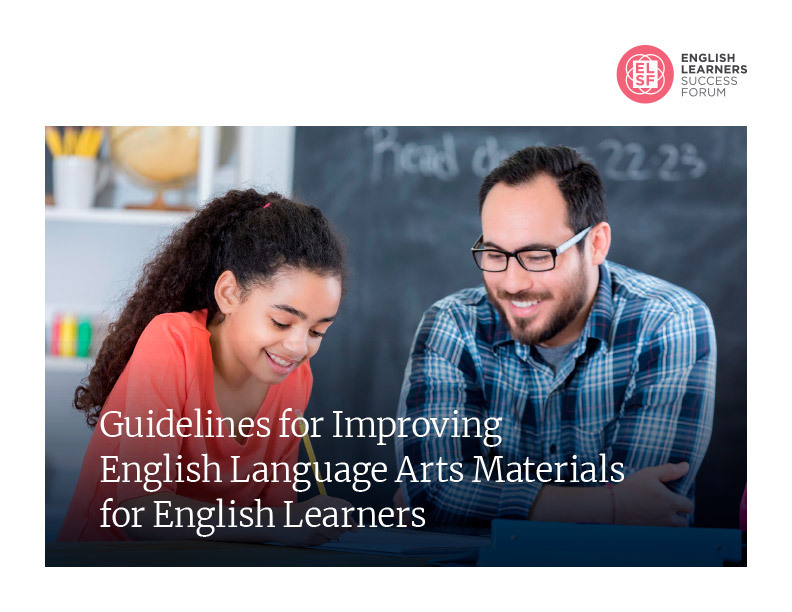 Browse the library of resources below to to find support for creating or adapting instructional materials that meet the needs of our nearly 5 million English learners. This resources library links to strategies and activities for implementing the ELSF Guidelines. Stay connected as we continue to post practical, researched-based tools to help English language learners.